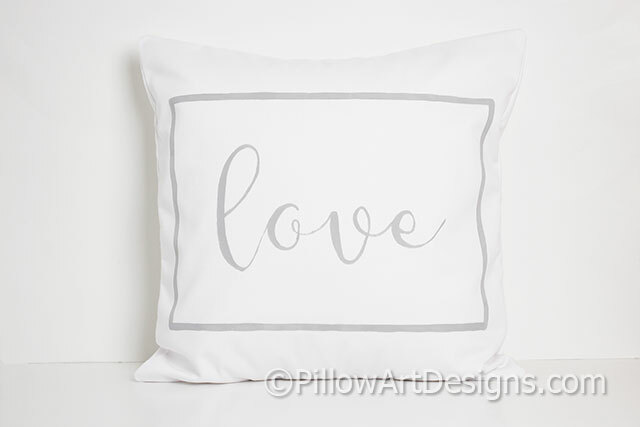 Love pillow cover painted in whimsical romantic font. 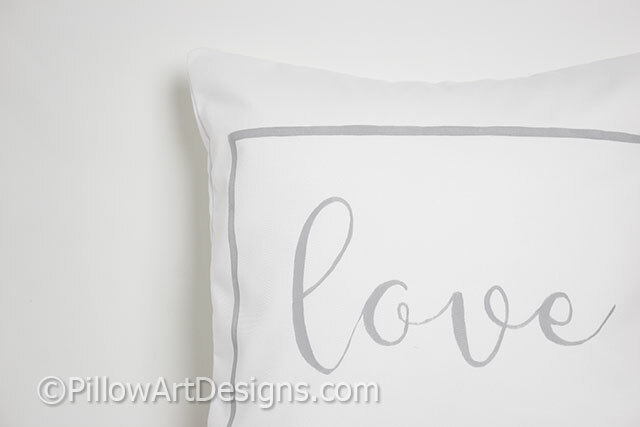 Love painted and framed in soft grey. 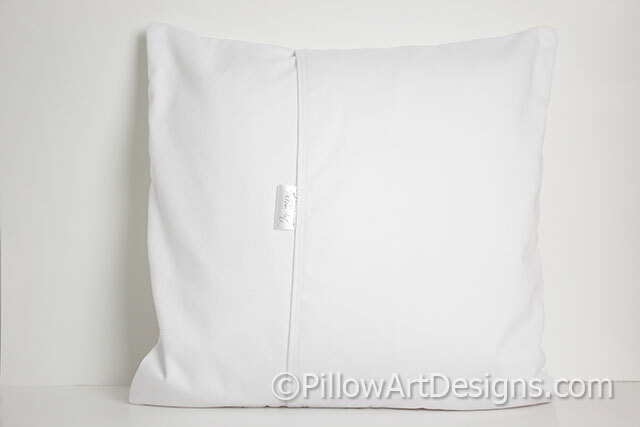 Outer fabric white cotton polyester twill, fully lined in white cotton polyester. Non-toxic fabric paint used, will not wash off, flake or rub off. For the very best results and long life, hand wash in cold water, lay flat to dry.